Ribbon Bundle	There is 1 product. 1 * Ribbon Bundle 450g. 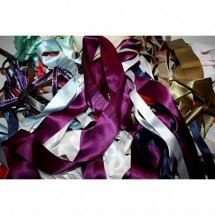 An assortement of different widths and colours of ribbon. No colour choice.